We’ll make sure that your roof replacement in Newmarket is completed in a timely manner and with the quality workmanship you deserve. Discovering that you need roof replacement can lead to quite a bit of stress. Will you be able to prevent leaks? 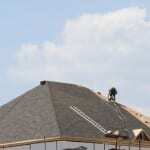 How do you choose the right roofing contractor? Will your roof replacement have to be put on hold? At Slippery Slope Roofing, we believe you should never have to stress that your roof replacement needs are on the backburner. We are ready to serve as your roofing contractors, and we’ll make sure your roof replacement is completed in a timely manner and with the quality workmanship you deserve. At Slippery Slope Roofing, we do things differently from other roofing contractors because we only work on one job at a time. That means when you need roof replacement, we’ll only be focused on your home or business in Newmarket, Ontario. With no distractions keeping us from completing your roofing project, you’ll receive special attention as our valued customer. We are committed to doing the work right the first time, and our competitive pricing makes it easy to see why we are your first choice when it comes to selecting a professional roofer for your project. You don’t have to stress over your roof replacement needs for your home or business. Just give us a call at Slippery Slope Roofing, and we’ll take care of the rest! Contact us today to schedule an estimate and learn more about our roofing services. Your roof is important to you – and you are important to us!